The Wandering Arborist: The construction conundrum. This week we have a guest writer featured on the Wandering Arborist. Brandon Hogan is an ISA Certified Arborist & Municipal Specialist, and is ISA Tree Risk Assessment Qualified. Currently he is a sales consultant at Heartwood Tree Service in Charlotte, NC, but has also had an opportunity to travel throughout most of North America creating tree inventory and management plans. Enjoy. 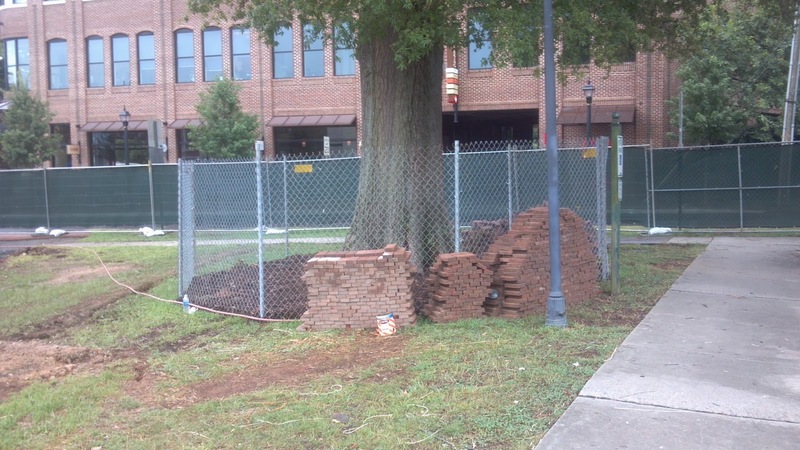 There are two major concerns when trying to preserve tree(s) within construction sites. The first is preventing physical injury to the tree in the form of damage to branches, trunk or roots. The second is soil disturbance in the form of compaction and changes to the grade or elevation of the soil. Preventing physical injury to trees during construction can best be accomplished through installation of a physical barrier between the worksite and the tree. This area is designated as the Tree Protection Zone and serves not only to protect the tree from physical injury, but also minimize the disturbance to the surrounding soil. Physical injury to a tree can lead to a wide variety of issues depending on the location and extent of damage. Wounds created through improper pruning, careless equipment use or root severance can open the door to pest, disease, or decay issues in many trees. Soils are where trees, live so protecting them is vital for any tree. Soils can be easily damaged through compaction created by mechanical equipment or the storage of heavy materials (bricks, stone, etc.). Compaction creates an environment below ground that will be less conducive to root growth and health. The addition or removal of soil near a tree can also have a negative effect on its health. Removing soil can damage roots and adding soil can suffocate them. In addition, even grade changes a good distance away from the tree can change how water flows through a site and how much will be available to the tree in the future. Tree where absolutely no thought is given to preservation. Ideally the Tree Protection Zone would extend outward from the trunk of the tree in a circle to the outer limits of its canopy (drip zone). Usually coordining off this large of an area within a construction site isn't feasible. In this case, protecting as large an area as possible within the tree’s drip zone is recommended. Generally, the minimum acceptable distance for the Tree Protection Zone from the the tree would be a circle extending out from the trunk a distance of 3Xs the diameter of the tree, measured at 4.5 feet above ground. Excavations leading to root severance within this zone can create structural issues that may warrant the removal of the tree. By severing large roots very close to the trunk, not only is the tree’s ability to extract water, nutrients, etc. from the soil compromised, but also its ability to anchor itself to the ground. Not every tree is a good candidate to try and preserve through a construction project. There are several other steps that would need to be taken both before, during and after the construction project to ensure the tree remains healthy and stable. The steps will vary with each tree and site. 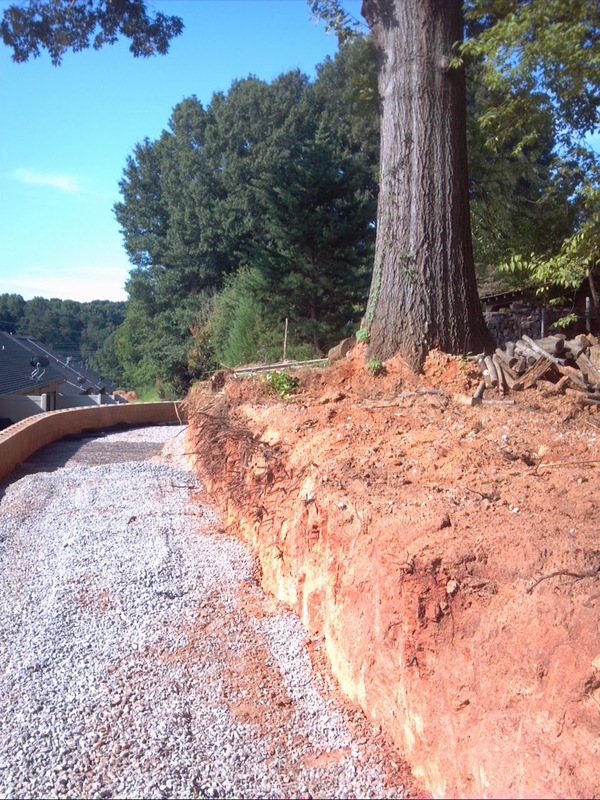 Protecting the soil and tree itself during the construction is a practice that will apply to any site. The larger an area that can be protected around the tree the better chance that tree will have of remaining for many years after construction is completed. Remember to sweat the small stuff.